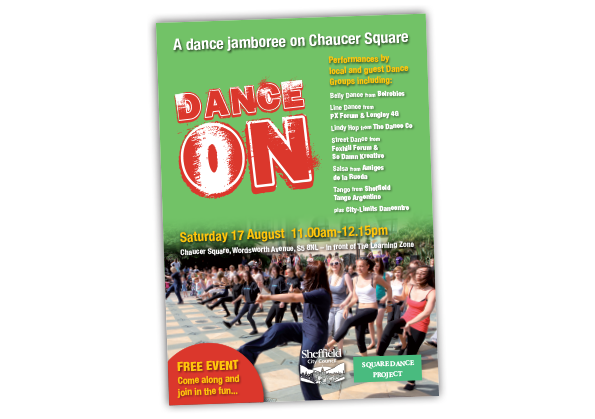 An A5 flyer for the fourth, in a series of five Dance On free events being held in Sheffield organised by Maire McCarthy Projects. 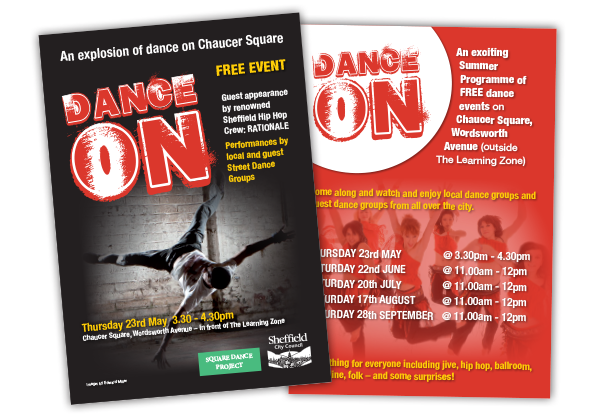 An A5 flyer for the third, in a series of five Dance On free events being held in Sheffield organised by Maire McCarthy Projects. 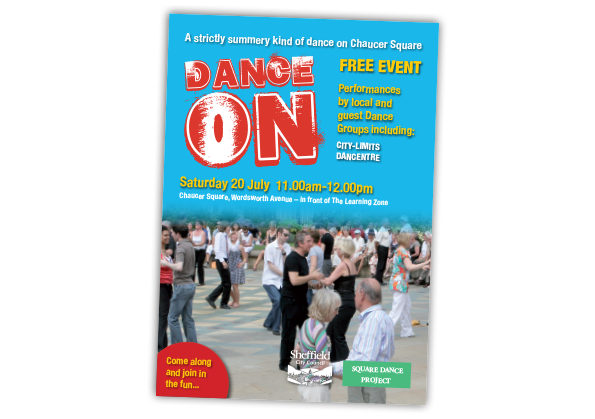 An A5 flyer for the second, in a series of five Dance On free events being held in Sheffield organised by Maire McCarthy Projects. 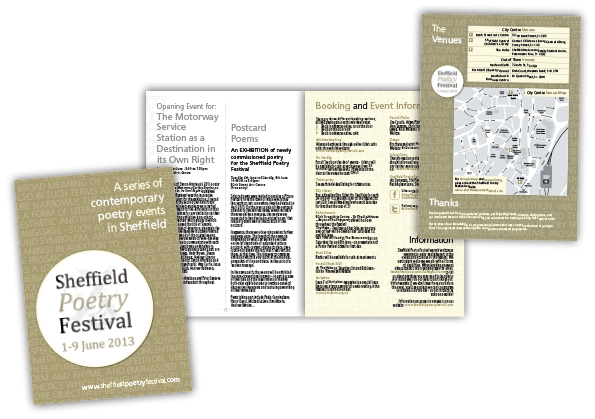 A 20 page, A5 event programme for Sheffield Poetry Festival. 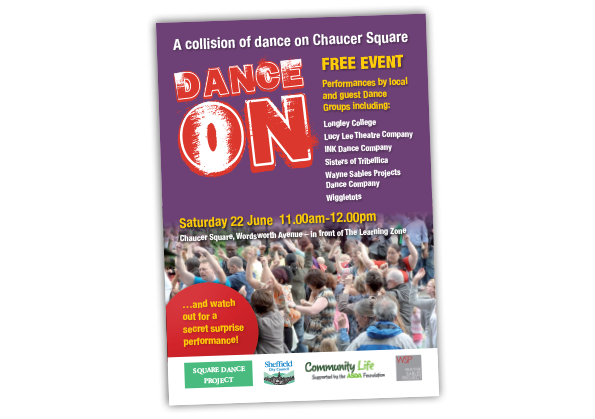 The festival is being run in association with Signposts and organised by Maire McCarthy Projects. 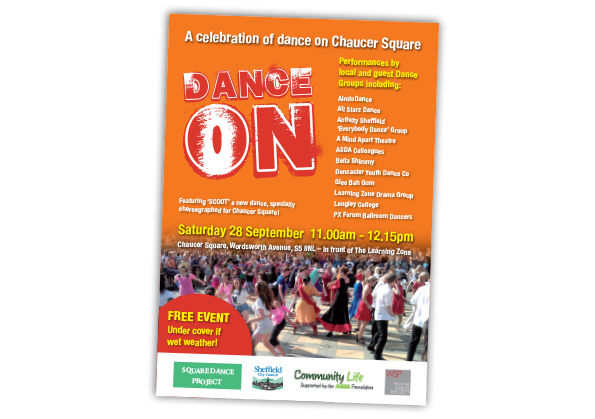 An A5 flyer for Dance On, a free dance event being held in Sheffield organised by Maire McCarthy Projects.